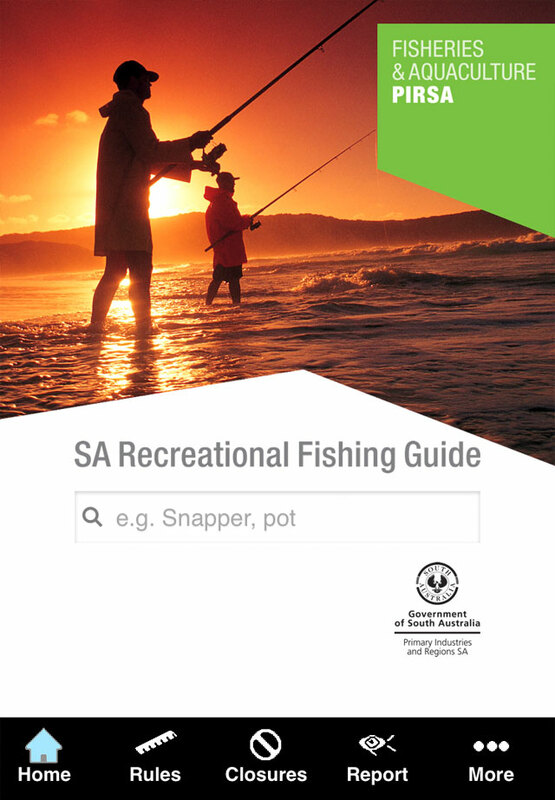 Getting the latest information on South Australian recreational fishing rules, regulations, area closures and size and bag limits has now just been made easier with the new free SA Recreational Fishing Guide app. 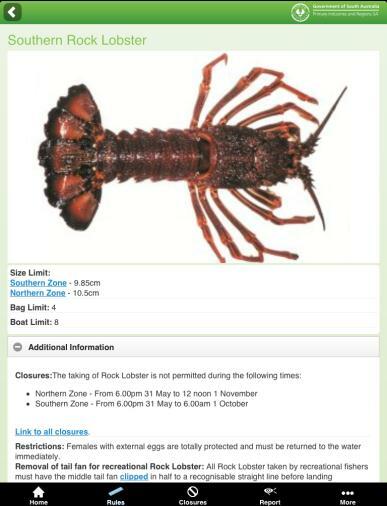 The SA Fishing app is a one stop shop for everyone to access information on fishing in South Australia from the convenience of their smartphone or tablets. 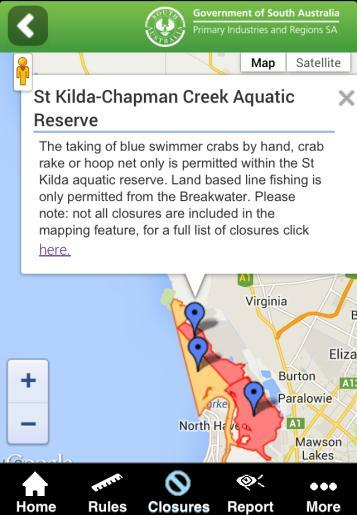 Fishers will have the ability to report suspicious or illegal fishing activity to Fishwatch, as well as shark sightings and catch reports on specific species through the app. Subscribers will also be able to receive, should they choose, direct alerts on immediate rule changes or timely reminders such as seasonal closures or opening dates. Latest information on alerts and season reminders from PIRSA’s Fisheries and Aquaculture Division. 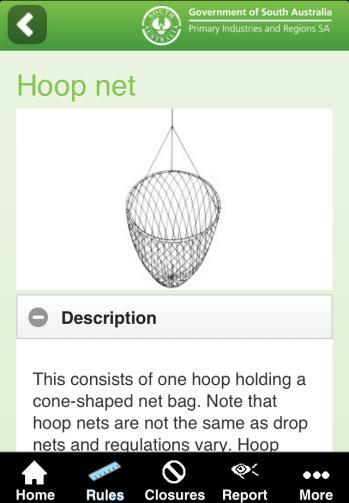 The app requires Apple operating systems iOS5 and above, Windows phone 7, and Android version 2.3 and above.